Jose Feliciano, 42, overcame hardship, ridicule and alcoholism to find success at Stan State. With his degree, Feliciano hopes to turn his experiences into learning opportunities for others. For Feliciano, school always felt impossible. He remembers being called stupid while struggling with learning disabilities. After struggling with alcoholism, Feliciano wanted to do better for himself, so he embarked on the 12-step recovery program. At Stan State, Feliciano didn’t shy away from asking questions as he had in the past. 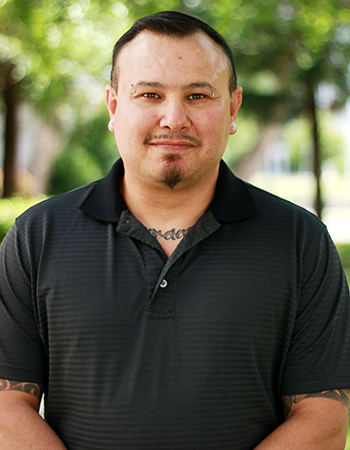 Before, he had assumed he was the only one who didn’t fully grasp the concepts being taught, but by taking his experiences in recovery and applying them to the classroom, Feliciano found that he could be successful in college. Feliciano is now in a place to give back to the community he feels he took so much from during his battle with alcoholism. Just nine years ago he was homeless and finding many of his meals in garbage cans. Today, he’s prepared to graduate and help others who lack confidence achieve greatness. “I felt alone in my situations as if I didn’t have anyone who understood or cared about a poor, Hispanic, kid who was not considered very smart. My goal is to be there for kids like me, to let them know that there are others like them, that they don’t have to be defined by what others say or think about them,” Feliciano said.